I’m happy to announce my Indiegogo fundraiser for The House on Orchard Lane has successfully launched and is funding now. The project is just beginning its crowd-sourced development phase where backers can suggest ideas that might possibly appear in the game. In addition, the project will try to secure funding for talented commissioned artwork. It’s an exciting time as the project has been in development since July 2018. And also because the fundraiser format is a testbed foundation for future game development. I’ll be making tweaks and changes along the way to adjust for scale and theme, but it will be based on my Indiegogo variant layout. Thank you, Indiegogo! A press release would be customary at some point, however, I don’t want the content and feature descriptions to interfere with the fundraiser. Plus, it’s a work-in-progress. Marketing is focused on a solid, yet spam-sensitive promotion during the fundraiser and after depending on if InDemand requirements are met. The game will land at Amazon for the Kindle so there will continue to be product promotions. And yes. The switch from Kickstarter to Indiegogo. I’ll have to get into that at a later time. For now, I have a fundraiser to attend. © copyright 2019 James Glover and 1000mg Games. All rights reserved. On 18 October 2013, I created the first files for The House on Orchard Lane. It was just a seed of an idea at that point. A title, in fact. I had planned to roll over work from another horror game called Evidence Locker, which was about murder weapons in police custody. As I studied themes and influences, I translated the game titles into Chinese. This marked the beginning of my combat genre product category that produced two strong contenders: Evidence Locker and AI: Awake. Somewhere around this time, the Nightmare Escape brand was dreamed up. It became clear to me that the story had to include a house as a character. Players would use their characters to attack and destroy the home of evil and those who seek its dark comforts. Fast forward to July 2018. I returned to my “Halloween game” product. It would play like a slasher flick. Friday the 13th movies were a major influence, along with Halloween and Hellraiser, and others. Oh my. Soon, I’ll be launching a Kickstarter to raise funds for The House on Orchard Lane, the “Halloween game” that I finally got back to. It’s the project I’m working on. The countdown to launch clock for The House on Orchard Lane Kickstarter has started. Closing out old news, our G+ community has been shuttered. Welcome to everyone who made the jump to this site or Twitter. It also looks like Google URL shortener will cease soon. If any links break let me know. I’ll be using Bitly from here on out for new links. Stay tuned for more details and a roasted, full-bodied update. Acts of Liberty was borne out of a conversation about recital of the Pledge of Allegiance in the classroom, which led to research about US citizenship requirements and ultimately, the Constitution. From that point, it was relatively easy to find lots of source material to create a thematic jump off. I chose the kishōtenketsu four act narrative structure as the inspiration for my storytelling framework, and that’s when the title came into view. The Prototype System takes the beginning-middle-twist-ending formula, moves the familiar conflict resolution element to the periphery, and refocuses on contrast and exposition. In each act, content is introduced that builds on or alters established story developments. The clock is turned back to the summer of 1788, on the eve of the ratification of the Constitution. 2-4 players take on the roles of characters, everyday citizens who are suspected of crimes against the state. Brought before an authoritarian judicial league known as the Council, their stories unfold. Acts of Liberty is a tabletop storytelling rpg that includes the rules and game charts. All you need is a deck of playing cards and a handful of tokens. Beginning with act one, the players take turns constructing their characters. There are four different archetypes: artisan, farmer, merchant, and soldier. Prototype allows multiple instances of an archetype to increase the story complexity. At the beginning of the act, each player draws a 1st card and refers to the world blueprint chart to build a character. The card suits introduce nearly 50 different kinds of descriptors that reveal facts about the characters. In act one, drawing 2nd and 3rd cards reveals dispositions and knowledge that further define their characters. The card values introduce seven different kinds of narrative-framing questions that offer over 150 unique story-building elements. The starting player is an active character providing a testimony from the perspective of a suspect who is accused of a crime against the state. All other players become passive characters who represent witnesses that can interact with the suspect’s testimony. Suspects can spend tokens to draw additional cards to reveal more story, or they can engage in evidence tampering in order to conceal, fabricate, or destroy parts of their own testimony. Witnesses can spend tokens to alter a suspect’s testimony through witness tampering in order to bribe or coerce, introduce an eyewitness or victim testimony, or provide hostile or contrary statements. When each character has concluded their testimony, the act ends. Gameplay rotates clockwise to the next player who becomes a suspect, continuing as before until each player has had a chance to narrate as both suspect and witness. In act two, the players take turns constructing their terrains. There are four different archetypes: coastal, mountain, prairie, and swamp. At the beginning of the act, each player draws a 1st card and refers to the world blueprint chart to build a terrain. By drawing a 2nd or 3rd card, players can reveal conditions and influences that further define their terrains. Gameplay continues in the same manner as before, with each player shifting between the roles of suspect and witness, contributing and affecting testimonies that build on the events that were established in act one. As before, gameplay rotates clockwise to the next player who becomes a suspect, and continues until each character has provided statements or altered testimonies as both suspect and witness. In act three, the players take turns constructing their incursions. There are four different archetypes: family, military, nobility, and tribunal. At the beginning of the act, each player draws a 1st card and refers to the world blueprint chart to build an incursion. With the drawing a 2nd or 3rd card, players can further define their incursions by revealing disruptions and perceptions. Again each player shifts between the roles of suspect and witness, contributing and affecting testimonies that build on the events that were established in acts one and two. When each character has concluded their testimony, act three ends. In the final act, gameplay rotates clockwise to the next player who becomes a suspect, and continues until each character has provided statements or affected testimonies as both suspect and witness. Act four has the characters taking turns to construct their judgements. There are four different archetypes: allegiance, condemn, pardon, and treachery. At the start of the act, each player draws a 1st card and refers to the world blueprint chart to build a judgment. By drawing a 2nd or 3rd card, players can further define their judgments by revealing impressions and reflections. Each player shifts between the roles of suspect and witness, weighing the outcome of the changes to acts one and two that were made by the incursions of acts three. When each character has offered a final testimony, the game concludes. Acts of Liberty takes place in a sandbox storytelling environment where the characters stand accused of crimes. Over the course of four acts, they can reveal or alter evidence and testimonies that create a complex and interconnected drama. Super Elements, global constructs that affect all narratives. 4 optional gameplay expanding rules. It’s a subtle yet compelling tabletop game. Explore the court of the Council, and witness the dark crucible of justice that threatens the birth of democracy in early America. 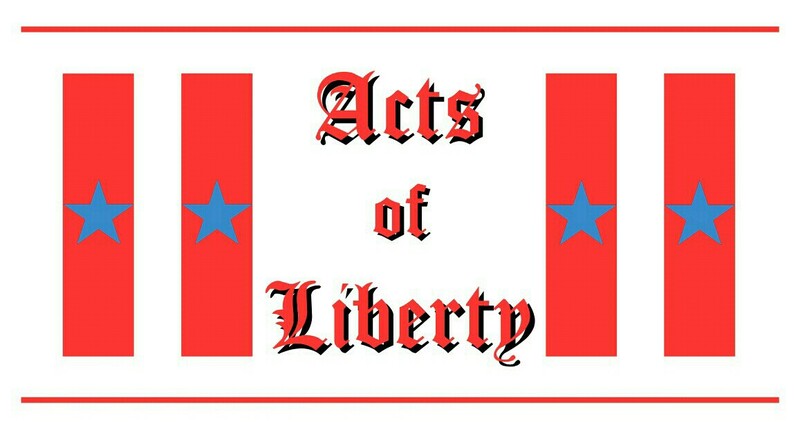 Acts of Liberty is available now on Amazon. Copyright © 2017 James Glover and 1000mg Games. All rights reserved. As 2016 comes to a close, I’m sipping a cold Black Cherry Original New York Seltzer and reflecting on the events that have filled up this year. It’s been a wonderful and, at times, difficult journey. First off, I’d like to express my gratitude and appreciation for my family and friends who helped me cross the finish line with my first game, Acts of Liberty, which has been released. I work two jobs and have a child, so it’s not always possible, nor is it always desireable, to sit in front of a screen for hours upon hours and chip away at a game product. Not that I’m complaining, because I’m not. I enjoy a very rewarding personal and professional life outside of 1000mg Games; I only mention this as context when I reflect on how long I’ve been working on AoL and Prototype. Which has been a long time. What that time provided was a (mostly) enjoyable development process that allowed me to research the best layout, narrative framework, subject matter, and production value that would fit my needs and goals. And looking back, I can honestly say that I was successful. Thank you to my daughter Sofia, for her patience and understanding during the times I desperately had to focus on writing. Her love of games and world building is nearly as strong as mine, yet she was quite happy to hear me announce that the project had been completed. Perhaps even more than I was to say it. I owe a big thanks to my friends Dan and Gina Stafford, who shared their time and energy to get me back on track. To Dan, for motivating me to climb out of a conceptual gravity well back in the spring, and escape from a development hell of my own making. I uploaded the finished game at 11:45 pm PST on 12/25, just ahead of my year end deadline. By about that much. I am wiser in that I know how much work I can complete in one year. On the horizon for 2017 are two more games: at least one more Prototype System game, and the debut of a new game system and Kickstarter. It’ll be a glorious year to play. I want to offer my sincere thanks to my fans, followers, and friends, whether here, on Twitter, or G+. I truly appreciate your support and attention. Oh yeah. One more thing. Monica Valentinelli once said that if, while visiting a website, she couldn’t easily find a link to the product she would leave within mere minutes. Go grab your copy of Acts of Liberty over at Amazon. Happy holidays, I’ll see you next year. Copyright © 2016 James Glover and 1000mg Games. All rights reserved. Before embarking on a vacation to Arkansas, I had managed to whittle down the to-do list for my first game Acts of Liberty to about three items. I felt like it was in a fairly sturdy condition and ready for the first playtest. Right. Afterward, it became apparent that there were still a few things that needed to be refined.